"Only thing we can do now is get as far out of town as possible." 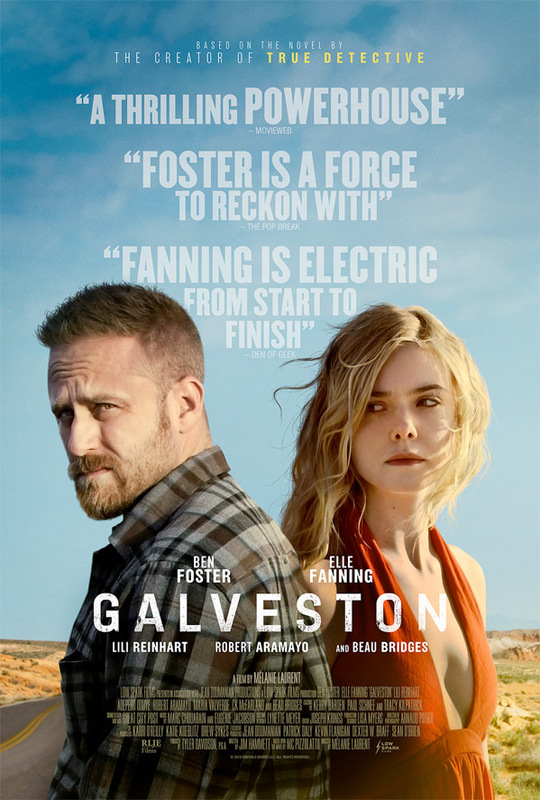 RLJE Films recently debuted another new official US trailer for the the indie thriller Galveston, the latest feature film directed by French actress Mélanie Laurent (of The Adopted, Breathe as well). This originally premiered at the SXSW Film Festival earlier this year, and is Laurent's first American film. Ben Foster stars as Roy, a man on the run after a violent encounter with his boss goes awry. He picks up a prostitute named Raquel, played by Elle Fanning, and decides to take her with him as he tries to escape to Galveston, Texas. The cast includes Lili Reinhart, María Valverde, Beau Bridges, Robert Aramayo, CK McFarland, and Adepero Oduye. Looks like it gets really intense and brutal, with plenty of darkness and emptiness creeping in. Still not sure about this. 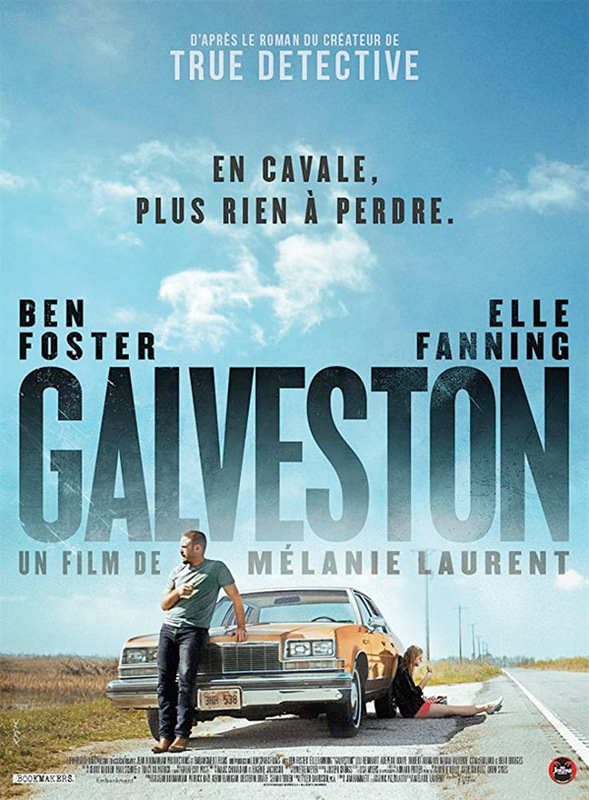 You can still watch the other French teaser trailer for Laurent's Galveston here, to see a bit more footage. After a violent encounter with his boss' men, Roy finds a prostitute and sees something in her frightened, defiant eyes that prompts a fateful decision. He takes her with him as he flees to Galveston, an action as ill-advised as it is inescapable. Galveston is directed by the talented French actress-filmmaker Mélanie Laurent, her fourth feature after directing The Adopted, Breathe, and Diving previously. The screenplay is written by Mélanie Laurent and Nic Pizzolatto, based on Pizzolatto's novel of the same name. The film first premiered at the SXSW Film Festival this year. The Jokers will release in French cinemas in October. RLJE will release Laurent's Galveston in select theaters + on VOD starting October 19th next month. Thoughts?